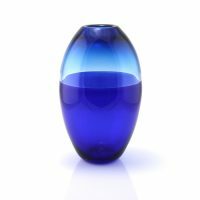 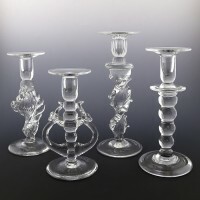 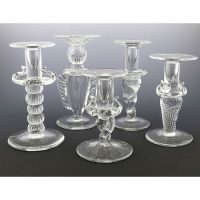 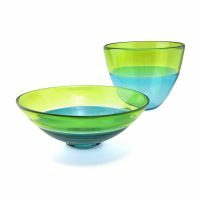 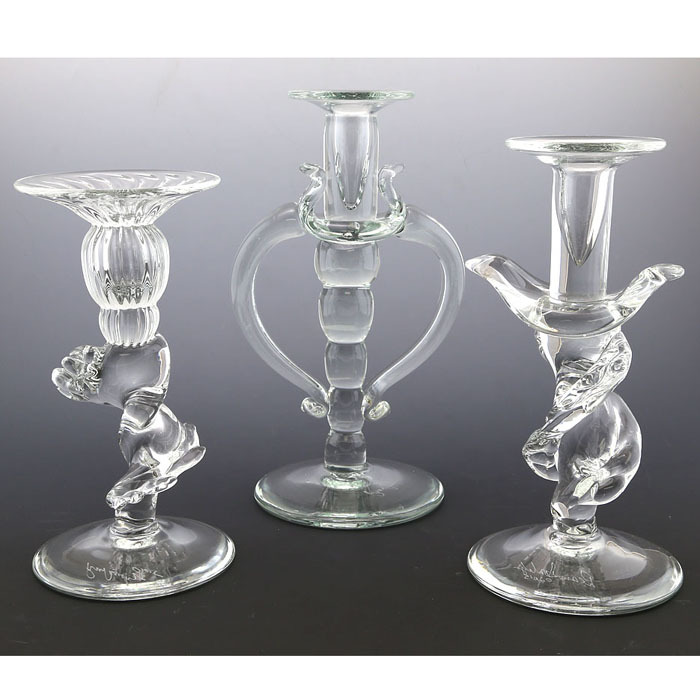 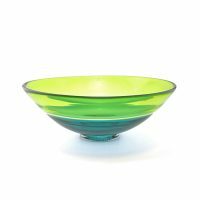 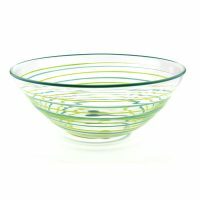 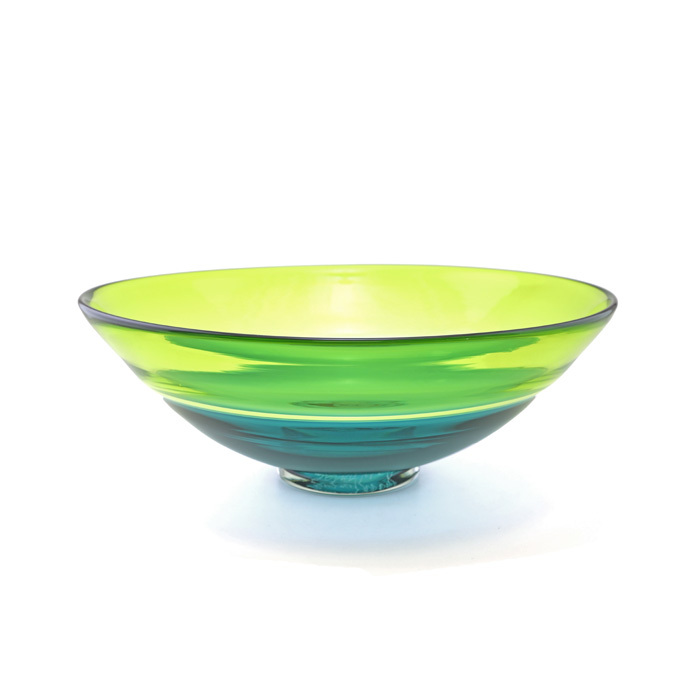 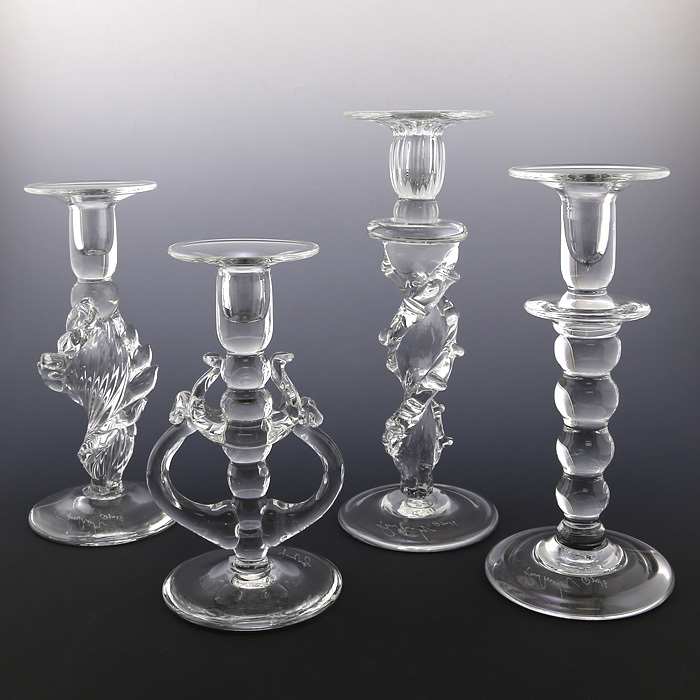 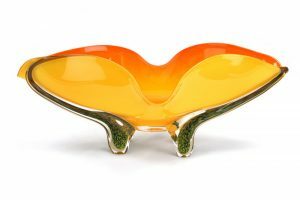 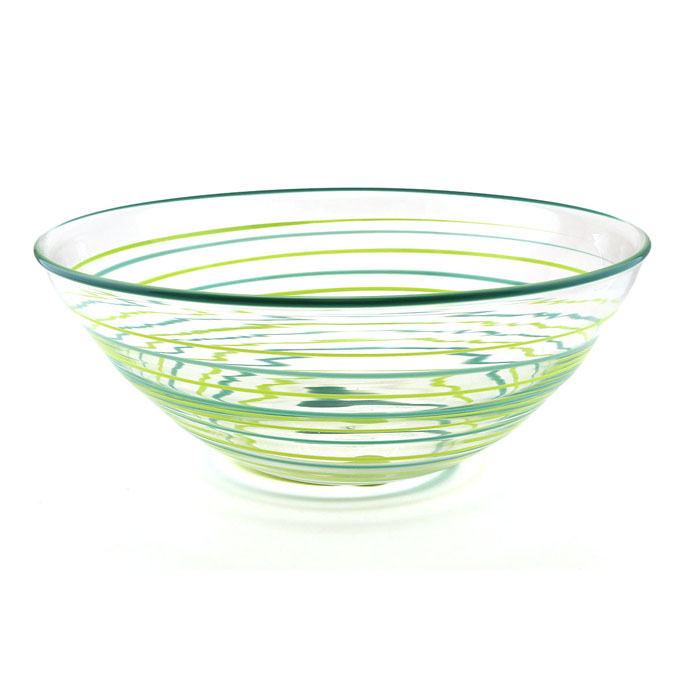 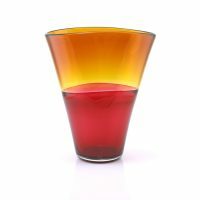 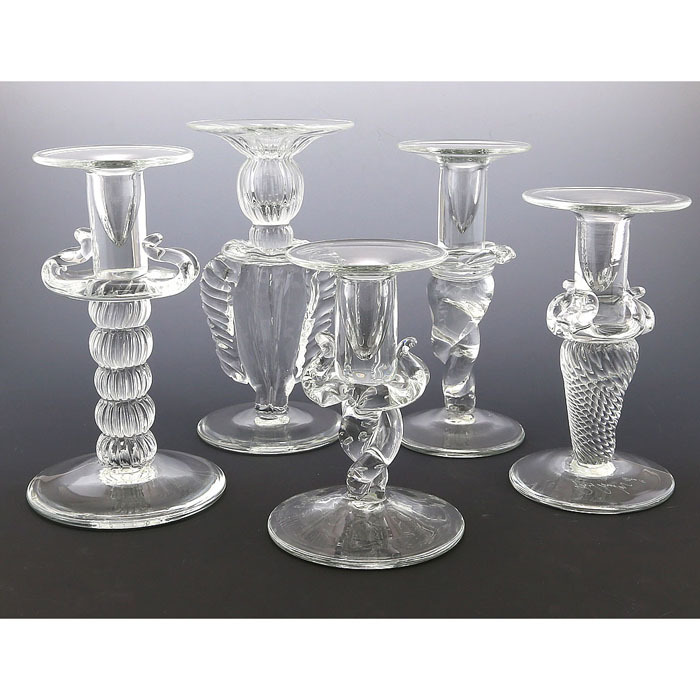 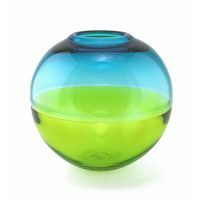 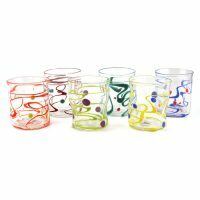 Peàn Doubulyu Glass, in Providence, Rhode Island, is a partnership started in 1981 by Elizabeth Pannell and James Watkins, ( p + w ) both graduates of the Rhode Island School of Design. 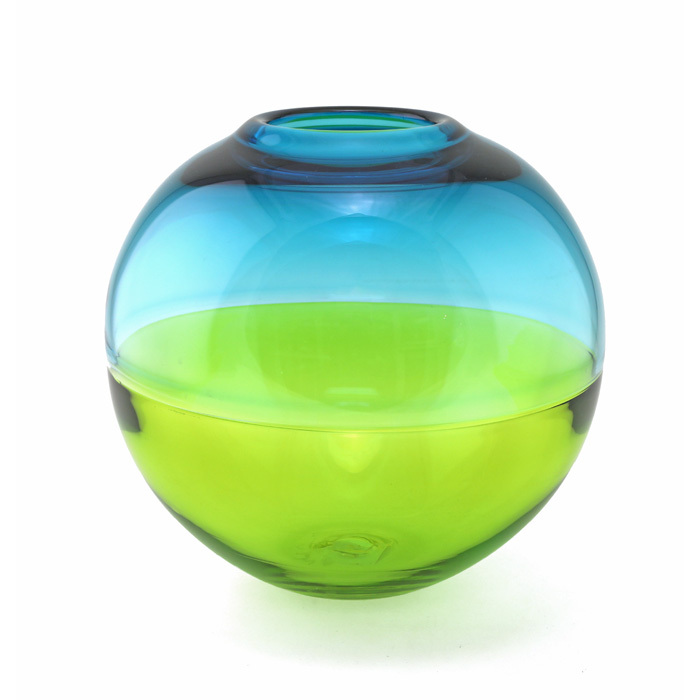 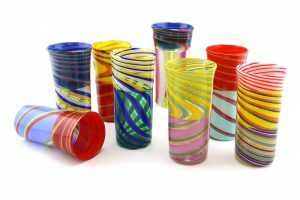 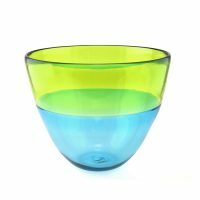 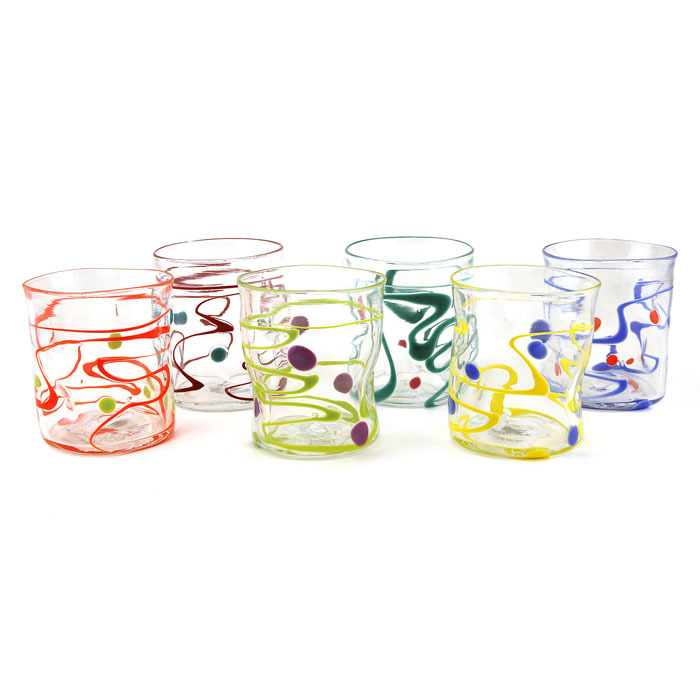 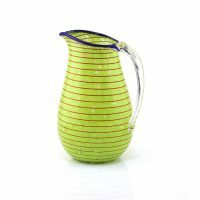 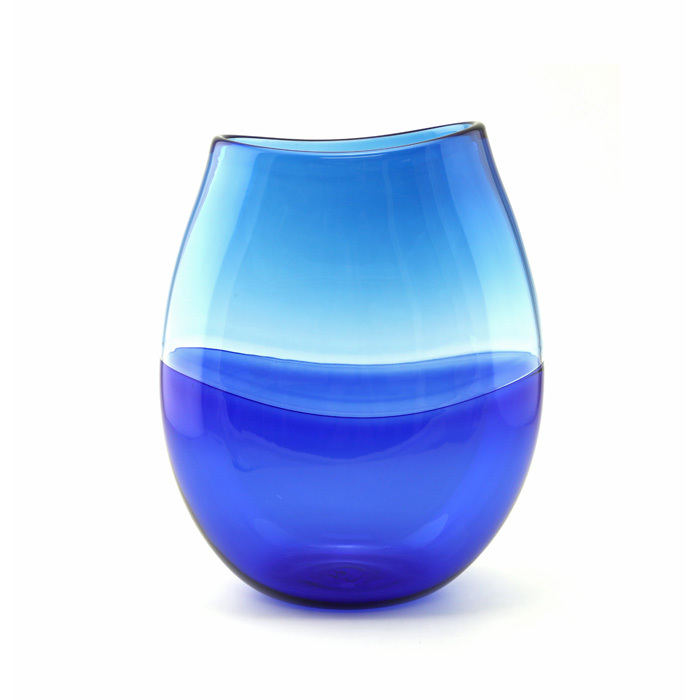 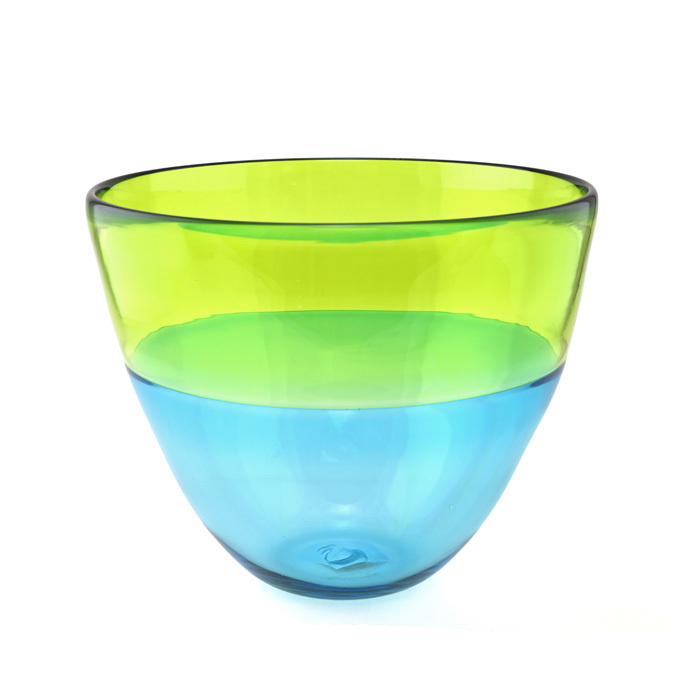 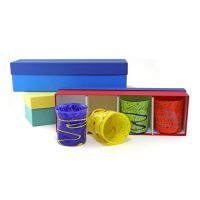 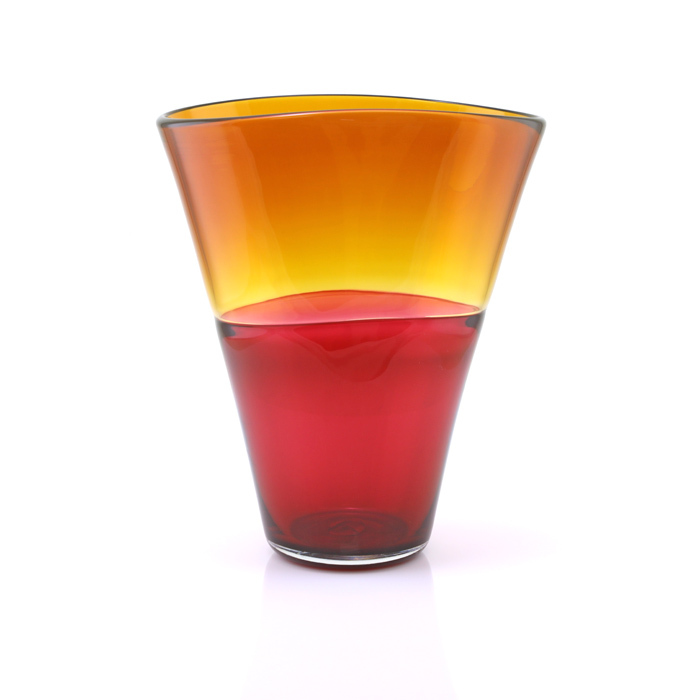 Together, they design and produce a line of functional glassware which is expressive, fun and a joy to use. 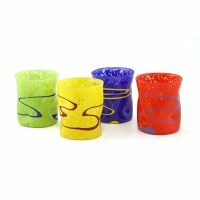 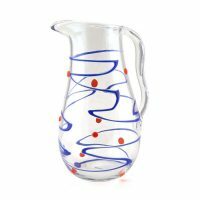 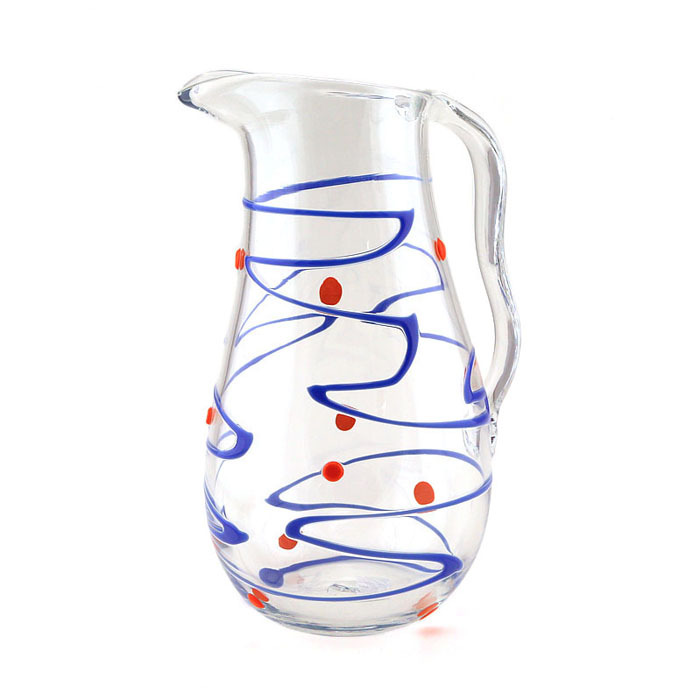 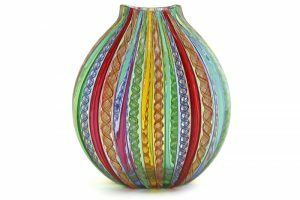 Pannell’s background in graphics and painting and Watkins’ interest in vessels are combined to create highly decorative glassware with bold contrasting colors and undulating, textured forms.